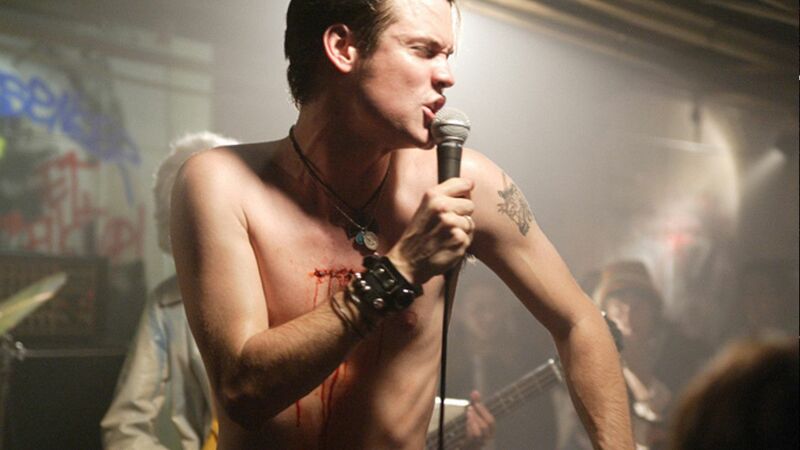 Further confirmation that not every minor story from a subculture necessitates cinematic interpretation, What We Do Is Secret recounts the brief career of Darby Crash (Shane West), lead singer for Los Angeles’s first noteworthy punk outfit the Germs. Rodger Grossman’s long-gestating directorial debut focuses on Crash’s David Bowie-inspired five-year plan for stardom, which wound up amounting to developing a notorious reputation for destroying venues, recording one album (1979’s revered GI), and then cementing his legacy by deliberately overdosing on heroin at age 22. On the basis of the film’s flimsy attempt at lionization, it’s fitting that Crash’s premeditated death was overshadowed by John Lennon’s murder (which occurred the next day), as the portrait presented here is that of a self-destructive narcissist with minimal talent save for the gift of manufacturing onstage chaos. As the Germs frontman, West combines belligerent recklessness with glimmers of self-awareness, his Crash regularly appearing cognizant of both the dead-end musical (and life) course he’s charting. 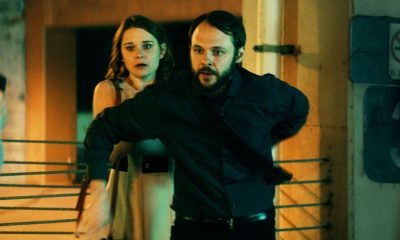 Even when depicting him in junkie disgrace, however, Grossman’s biopic treats its subject with reverent romanticism that—because his importance isn’t established by examples of lyrical/musical ingenuity or performance-art daring—feels fairly juvenile. The director’s faux-Behind the Music interviews with Crash (in which he extols fascism) as well as band members Lorna Doom (Bijou Phillips) and future Nirvana and Foo Fighters guitarist Pat Smear (Rich Gonzalez) exude a phoniness that also crops up in early, quick snapshots of Crash’s childhood with his cartoonishly ugly mom. Infused with ragged unpredictability, What We Do Is Secret‘s wild concerts are its high points. Yet the script’s desire to transform Crash into some sort of tragic icon—one who, after achieving what he wanted, had nowhere to go but into the grave, where he could earn the respect he sought in life—is undercut by two-dimensional characterizations and an inability to convey the greatness of its protagonist’s music, thereby making his story something of an appropriate secret.